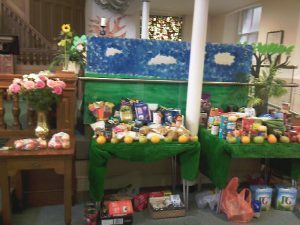 St Columba’s Church was packed on Sunday 28 September for harvest festival, which was also combined with Back to Church Sunday, Parade Sunday, and a baptism. 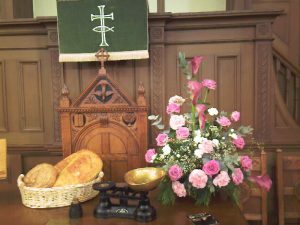 The service included traditional harvest hymns, with a more modern song. 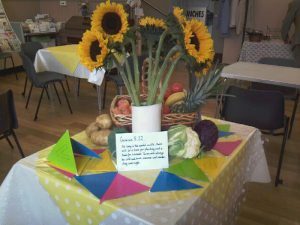 There were also a couple of short videos, a dramatic presentation of a Bible story, and a quiz, all on a harvest theme. 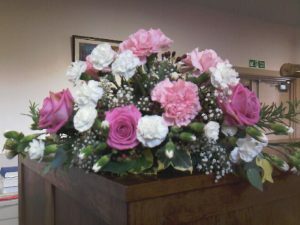 The service was aimed at all ages, and our young people were very involved. We finished by blowing our prayers into balloons, and then letting them go, and watching them shoot upwards. 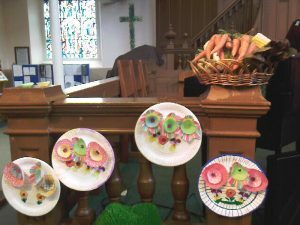 It was a feel-good service, with a serious message about sharing and food justice. Worshippers then went into the hall for a pop-up breakfast bar and baptismal cakes.